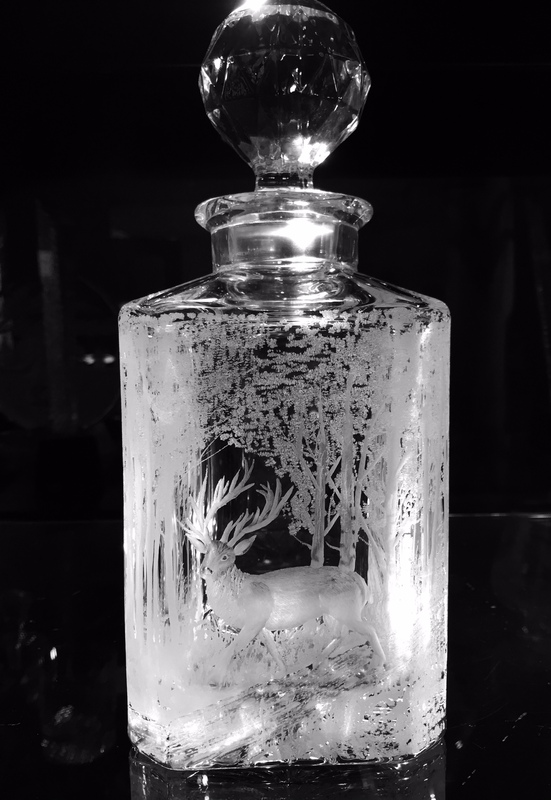 Stemware & Barware: "Deer in Forest"
Description 12" Bottle Decanter with cut crystal bottom and stopper. Engraved here with a deer in a forest setting. Available with other designs. Please contact Sean for bespoke decanters.